Until now, there simply hasn’t been a reliable method to include reinforcement fibers into your volumetric concrete operations. It can’t be done by hand and there haven’t been any automated systems. Volumetric operators have been left out of the fiber-reinforced concrete market and the profits that can be generated with fiber reinforcement. But now, the Rover mobile fiber dispenser is available to allow your volumetric concrete operation to compete with ready-mix suppliers. Easy installation and use are the hallmarks of the Rover. 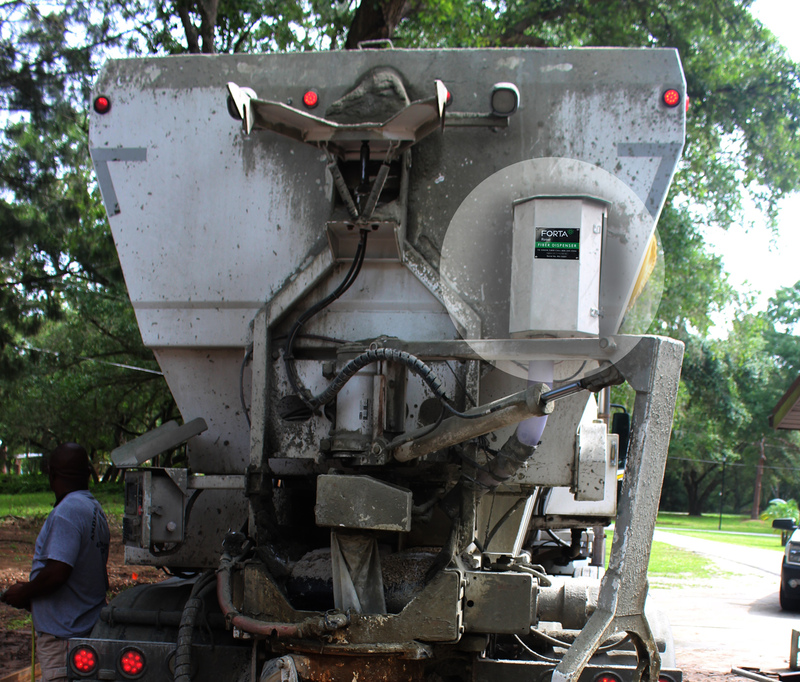 The compact size allows for mounting the Rover near the cement bin – close to the mixing chamber – on virtually any volumetric concrete truck. Once installed, variable air pressure controls the feed rate from a bobbin of fiber (also known as a fiber roving), which is then chopped and delivered directly to the cement mix. The result is accurately chopped fiber, uniformly applied to the mix. The Rover fiber feeder is compact in size and easy to install. Bolt the unit to the exterior of your volumetric truck, connect the controls, air supply and discharge tubing, and you’re up and running. Simply place the bobbin of mobile mesh into the Rover, thread the fiber into the cutting head and you’re ready for production. Mobile mesh bobbins are 42 lbs. 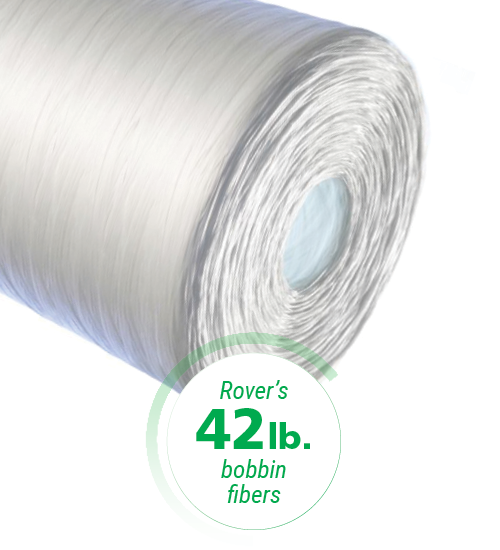 of fiber, typically enough for 5 full loads of 8 cubic yards of concrete when using a dosage rate of 1lb per cubic yard. Choose from a single or double bobbin capacity feeder. Increase your income by reselling reinforcement fibers. You’ll be able to offer a higher quality product that you haven’t been able to produce in the past. Once calibrated, the Rover’s accuracy of fiber-to-concrete provides the perfect amount every time. Easily change the fiber dosing rate to meet unique job requirements. Automatic fiber chopping and dosing eliminates excess use of materials and saves money. There’s no wasted material or guessing about the right fiber ratio. The Rover’s durability, limited maintenance and long life add value. You’ll save time and money for years to come. 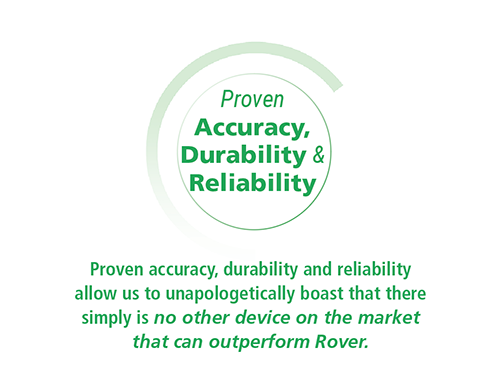 Rover’s proven accuracy, durability and reliability allow us to unapologetically boast that there simply is no other device on the market that can outperform the Rover. FORTA MOBILE-MESH is an alkali-resistant glass fiber developed for modification and reinforcement of cement based applications to ensure increased long-term performance and durability.